OXFORD, Miss. – Peter W. Grandjean has been named the new dean of the School of Applied Sciences at the University of Mississippi. Grandjean comes to UM from Baylor University, where he served as associate dean for research collaboration and graduate studies, director of the university’s Division of Health Professions, and as a professor in the Department of Health, Human Performance and Recreation in the Robbins College of Health and Human Sciences. A nationally recognized professor and researcher, Grandjean has more than 30 years of experience in education, beginning as a high school biology teacher in New Braunfels, Texas, in 1986. Grandjean, who assumes his Ole Miss role Jan. 3, takes the spot of Teresa Carr Carithers, who has served as the school’s interim dean since July 2017. “Dr. Carithers and her leadership team have done a remarkable job in establishing the school’s firm foundation, growth and trajectory,” Grandjean said. “I look forward to building on the great work already going on within the school by fostering an environment where interdisciplinary teams can serve and research together to address major challenges that exist in our world today. Grandjean received his bachelor’s degree in physical education from Anderson University in Indiana in 1986, his master’s in exercise physiology from Texas Christian University in 1992 and his doctorate in exercise physiology from Texas A&M University in 1996. Established in 2001, the School of Applied Sciences includes the departments of Communication Sciences and Disorders; Health, Exercise Science and Recreation Management; Legal Studies; Nutrition and Hospitality Management; and Social Work, along with an interprofessional degree program for applied gerontology, the Institute of Child Nutrition and the Jackson Heart Study Vanguard Center at Oxford. As dean of applied sciences, Grandjean will oversee one of the fastest-growing schools on campus. The school, which seeks to improve the lives and conditions of people and communities across Mississippi and the region, also has a growing research imprint at UM, with more than $8.4 million in external funding received in fiscal year 2018. “I was immediately captured by the University of Mississippi’s strong reputation as one of the nation’s top academic and research universities and by the interdisciplinary potential within the School of Applied Sciences,” Grandjean said. “The school includes an exciting group of academic departments, an institute and center that are known for developing leaders who advance and apply knowledge of health, well-being and human flourishing in an integrated, interprofessional manner. Grandjean joined the Baylor faculty in 2010 as an associate professor. He previously was a faculty member at Auburn University, and before that served as a graduate assistant and post-doctoral research associate at Texas A&M and as a graduate assistant at Texas Christian University. 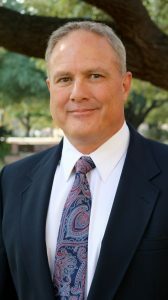 While at Baylor, he also served as director of the Baylor Laboratories for Exercise Science and Technology, and as director of The Center for Healthy Living. Grandjean is a member of the American Physiological Society, the American College of Sports Medicine, the National Strength and Conditioning Association and several other professional affiliations. Carithers will return to the School of Applied Sciences faculty as a professor of nutrition and hospitality management and program director of applied gerontology.